Nobody knows the rental market better than a property manager, and nobody better than a property manager who does real estate knows how to help real estate investors. 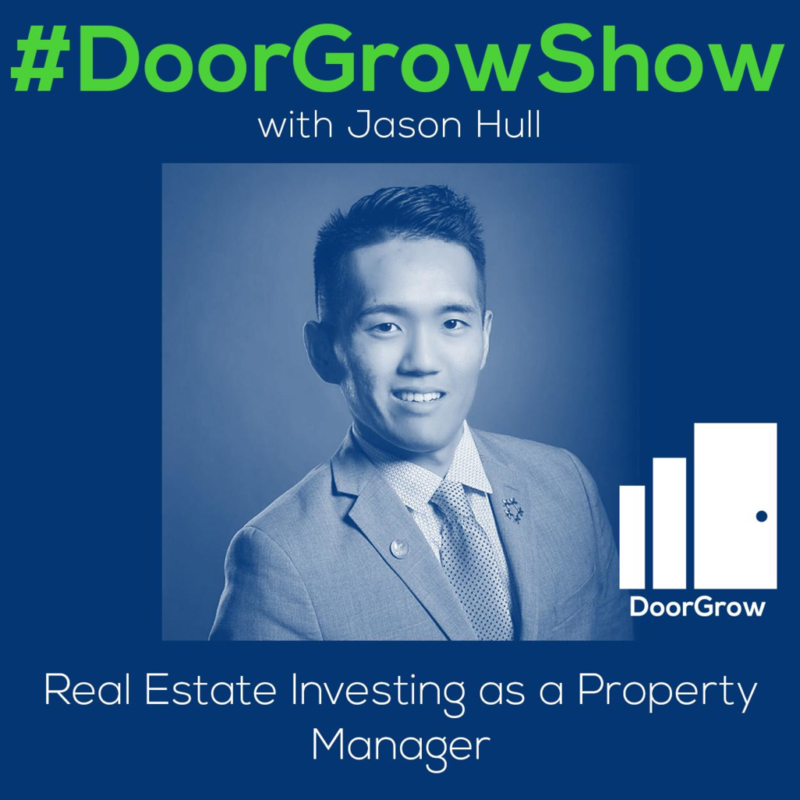 Today, I am talking with Sam Kwak about real estate investing as a property manager. Sam’s philosophy is: I don’t manage anything that I don’t own. He prefers to buy properties and manage them or at least understand how the business works. [03:35] People who don’t necessarily have anything in terms of wealth can become real estate investors, buy properties, and rent them to create income. [05:25] As a partner, Sam is part of the everyday operation of property management; he’s in the office, sees what’s going on, and does consulting and advising. [05:58] Property managers need to understand their numbers, cash flow aspects, possible expenses, macroeconomics, microeconomics, and the market. [06:35] Property managers have a better understanding of where to invest; if they understand the market, they know what to buy to have a healthy cash flowing asset. [08:09] Education is key; Sam helps new or beginner investors learn a skill set focused on acquisition, negotiation, and understanding business expenses. [08:45] Acquire properties without using your own capital and credit; learn to acquire properties using the concept of owner financing and raising capital for owner financing. [11:35] Different states and municipalities have different rules; find an attorney who understands the creative side of investing and how to work with an installment contract. [14:15] If you understand how to legally, ethically, and morally put together deals, capital finds its way to you; money will come, if you provide value and want to help people. [15:10] Not all partners are made equally; work with a partner who is of sound mind, values what you do, and has the character to backup their integrity and honesty. [18:55] Once successful, don’t be blinded by confidence and think you’re invincible; adapt a coachability mindset and become a student again. Anyone can be an investor, buy properties, and rent them to create income. I’m in property management because I know what goes in it, what goes out. Money will come, as long as you’re providing value. Jason: Welcome DoorGrow Hackers to The DoorGrow Show. If you are a property management entrepreneur that wants to add doors, make a difference, increase revenue, help others, impact lives, and you are interested in growing your business and life, and you are open to doing things a bit differently, then you are a DoorGrow Hacker. DoorGrow Hackers love the opportunities, daily variety, unique challenges, and freedom that property management brings. Many in real estate think you’re crazy for doing it. You think they’re crazy for not, because you realize that property management is the ultimate high trust gateway to real estate deals, relationships, and residual income. At DoorGrow, we are on a mission to transform property management businesses and their owners. We want to transform the industry, eliminate the BS, build awareness, change perception, expand the market, and help the best property management entrepreneurs win. I’m your host, Property Management Growth expert, Jason Hull, the founder of OpenPotion, GatherKudos, ThunderLocal, and of course, DoorGrow. Now, let’s get into the show. Today, I am hanging out with Sam Kwak. Sam, welcome to the DoorGrow Show. Sam: I am honored, Jason. Thank you for having me in the show. Jason: Glad to have you. Sam, we are going to talk about real estate investing as a property manager. Usually, property managers are helping other real estate investors in not eating their own dog food. Let’s talk about this. Before we get into that, tell everybody a little bit about who Sam is and your background. Give us a little backstory. Sam: Absolutely. I guess it kind of go back to my original humble beginnings. I came to the United States in 1999 as an immigrant. Back then, I was seven years old. Surprisingly, I still remember a lot of what had happened back then, but I can remember coming to this country without much friends, culture awareness, language certainly. I spoke two words; thank you and no because yes has more risk, no certainly didn’t. That’s all I knew how to say things in English, basically. Over time, I’ve learned the language, I learned the culture, definitely got used to that, went through the whole high school, middle school, elementary school experience here in the United States, hence, I’m able to talk to you guys. Along the way, I didn’t know I wanted to be an entrepreneur, let alone be a real estate investor in the first place. I joined the military right off the high school because I didn’t know what I wanted to do. All I knew was the military could help me pay for my college. That’s all I knew. I went in the military and ended up joining the reserve national guard. I was able to do my school while that was going on. I think two months, three months into school, I knew I wanted to become an entrepreneur. I said, “This is not for me, this school thing.” I felt like I was being trapped. I felt my freedom and independence was being robbed, knowing that I may have to work for a boss or a company from [9:00] AM to [5:00] PM, do that for 40 years. I just couldn’t imagine myself doing that. I was in a different industry. I was actually in the nightclub industry. I was a professional DJ and my skill set extended to pressing play, pause, taking the CD out and putting a new one in. That was the extent of my skill set. I think almost every real estate investor have probably read this book, at least the ones that I talked to, the contemporary ones, the Rich Dad Poor Dad book by Robert Kiyosaki. That book literally opened up new possibilities, where I’m like, “Woah, this is so cool.” This concept of being a landlord didn’t even dawn on me because my family was paying rent, my family had a landlord, and we just thought that, “Oh, this landlord was probably born into wealth and have all these properties and so on.” I never quite understood that average people, people who necessarily don’t have everything and anything in terms of wealth, could actually become a real estate investor, buy properties, and rent it out to create income. That was a new concept for me five years ago. Four years ago was when I decided to start my journey as a full-time real estate investor, definitely sold my DJ business, and that’s what I’ve been doing. Fast forward four years later after I started this business in real estate, my brother and I currently have 75 rental units. We have a property manager who’s a partner. That’s why I’m involved in this business of property management. I know what goes in it, what goes out. I’ve actually gotten some training in property management and we’re continuously growing, buy more properties. My philosophy is, I don’t manage anything that I don’t own–that’s my philosophy. I prefer to buy properties whether I manage it or if it’s a distant away, if I have a property manager, I still need to understand how the business works so that I know how to properly manage my manager’s expectation and the responsibility of me as the owner and the property manager that I’m working with. Jason: Currently, you’re an owner-operator, right? Jason: The 75 doors that you guys manage, they’re all yours? Sam: Yes and we have a partner who has an equity in the properties that we own and that partner is a licensed property manager in that case. Of course, being a partner, I see the everyday operation of property management. I’m in the office, I see what’s going on, and I do a lot of consulting and advising as far as how the operation is run. That’s how I came to know Jason, because I want to learn more about what the business entails. Jason: That’s kind of one of your sort of secret super powers is the dirty tech side of automating some of the business for your property management side. Sam, let’s get into this topic then of real estate investing as a property manager. Where are most property managers at, maybe in terms of their thinking, and how can they get to where you are in having their 75 of their own door? Sam: The real estate investment business as itself is definitely a separate business. While the management side, most of you guys, I would say that you guys are really great. As far as buying, it is definitely a separate business of its own, understanding your numbers, the cash flow aspects of it, there could be expenses. There’s also an understanding of macro economics as well as microeconomics, your understanding a market. I think one advantage that a property manager does have over an average investor that may not have the operational knowledge of being a property manager, is totally understanding where the areas to invest and not invest. If you are already investing or if you are already managing in your area, let’s say, you know what the rents are going to be, you know what the tenant base looks like, you know what type of maintenance you have to be doing to attract the right tenants, to have the right amount of rent being collected out. What’s really important with that is, if you understand your market, you can pretty much reverse engineer as to what you will need to buy to have a healthy cash flowing asset. That’s definitely an advantage and it’s almost no brainer. If you’re a property manager, I would encourage people to at least will get the possibility of buying your own properties for you own sake, for you to build your own wealth, and for your own cash flow. I do believe that property managers have an advantage. It is definitely a different business and it’s a different set of skills to be learned, but I think property managers, brokers, definitely have an advantage and upper hand over the average person just getting into this business. Jason: Makes a lot of sense. I mean, nobody knows the rental market better than a property manager and a property manager that does real estate, nobody knows better how to help real estate investors. But taking that leap to that next step of knowing, “Now, how do I help myself be the investor?” is kind of a leap. If they’re not doing that kind currently, where do they start? Sam: A lot of times, education is very important. I had several individuals, obviously, who were trying to get into the industry and one of the things that I do is I help facilitate new or beginner investor come in and start learning. One of the biggest thing, and I think a lot of the property managers going back to the advantages, you understand the market. Now, also understanding the market, there’s also a skill set to be learned as far as acquisition, negotiation, understanding the business of expenses. The two things that I’ve figured out over time, over the last four years, is understanding how to acquire properties without using my own capital and without using my own credit. Just for record, for those who are listening, if I seem young, that is because I am. I’m 26 years old and of course, I don’t have the best credit history to go out there to a bank to say, “Hey, mister and missis banker, I would like to have $1 million loan.” Very much of a challenge. What I’ve learned to do—and this is something that you guys can certainly learn and adapt into your business—is learning how to acquire properties using a concept known as owner financing and raising capital for those owner financing. To give you an example, we bought a four-unit apartment building. It’s owner financing. The concept of owner financing is basically having the seller or owner financing all our purchase. Instead of making a periodic payments to the bank, we’re going to be making periodic payments to the seller in exchange for equity. It’s known as installment payment. Certain states call it land contract. Various different states have different names for it, but essentially, that’s the concept. Now, what’s really cool about owner financing is that we can, a lot of times, negotiate the terms, the interest rate, the amortization period, all of that from scratch. In this particular four-year deal, we bought it using 15 year amortization at 5% interest. We keep it within the short amortization period to build equity, that’s one of our goals, and of course, cash flow. We did 10% down on this property. The purchase price was $275,000. We raised $28,000 roughly, including legal cost and so on. I was able to bring in a partner who footed the $28,000, that went to the downpayment, gave that partner 50% equity, and that’s essentially how we bought the four unit. The closing was quick. We were able to close in two weeks. It wasn’t like having to go through a bank where we’re waiting on the loan docs or there’s an escrow period, underwriting, all that could be a headache. Just doing that model of buying properties using owner financing, raising capital, allowed us to get to 75 rental units. You can imagine that in itself is a whole different skill set and property management is very important, I’ll tell you that. But acquisition and dispositional property is in itself a different skill set to be learned. Jason: It sounds like one of the initial things that they’ll need to figure out is how to structure this legally, how to get the right contract in place, how to set the terms. How did they get started with that? Is there a certain type of lawyer that they’re looking for? Is that something that they should just try and figure out on their own? That sounds like a dangerous place that they need to figure out. Sam: I certainly would not encourage anybody to go attend the Google University where the endless possibilities and information come about, but you really have to test the accuracy. The reason why I discourage people from googling things is different states, different local municipalities have different rules. For example, Texas many years ago, changed the laws into lease option, or I should say, lease with an option. They changed the rules on that. Illinois, which is the state that I live, just this year, the state attorney general is now requiring people to give disclosures when selling things on owner financing or buying things on owner financing. It’s really important that you don’t necessarily just go to Google University and read what it says, and take it as a fact–very important that you don’t do that. As far as the legal side goes, there are attorneys that understand this and there are attorneys that don’t understand this. The trick is you got to go find an attorney that understands the creative side of real estate investing, someone that understands how to work with an installment contract. Here in my state it’s officially known as Articles for the Agreement for Deed. I know it sounds like a bunch of acronyms and lingos, but it’s really important. What I do suggest is work with someone that has an experience in this already in your local market. I’m not opposed to buying into mentorships or coaching program. I know Jason has a phenomenal program. I highly encourage people to take that offer seriously. But as far as real estate investment goes, it’s not a bad idea to work with a coach or mentoring program if you don’t have that available in your relationship or your network. Jason: Absolutely. That could significantly collapse time on trying to go through this learning curve. You’ve been through some of these hurdles or they could find somebody else who’s been through some of these hurdles locally, probably a lawyer that knows how to manage these sort of things. The other thing is partners. How do you identify a really good partner? I would imagine, if anybody has access to partners, it’s property managers. Sam: Yes. I absolutely agree. That’s initially why I partnered with my property manager for pretty much all my properties that I own. They are fantastic. Not only do they bring in the operational side, but they may have capital. But if capital is an issue, I’ve come to a conclusion, many months ago, that capital is never really an issue if you have the right deals. If you understand how to put together opportunities, deals, legally, ethically, and morally, it almost seems like capital finds its way to the best type of opportunities. When I look for a partner, a lot of times I look for the characteristics. My rule is not all partners are made equally. Different partners have different lifestyle, desires, they want to have different financial goals. To give you an example, we may have Partner A that wants cash flow; they want cash now, they want income coming in. Partner B may not have any problems with having cash flow; they just wanna build equity and wealth, build up a nest egg. You really have to work with different types of partners and their needs. What is foundational, however, is you want to work with a partner who is of sound mind, they’re not going to go crazy on you, they have the character to back it up, integrity, honesty, and all that. We look at that and we understand that not all dollar amount from various partners and investors are not equal. You kind of have to weight that and you want to work with individuals that have a similar goal as you do. My goal obviously, is cash flow and equity build up. I typically want to work with a partner that values pretty much what I value. Jason: You’re looking for values alignment with a partner. In doing business with anybody, whether it’s a client partnership, really there is a relationship there. And a partnership […] and if it’s not good, it can be really not good. If it is good, it can be really great. Getting that right relationship sounds critical. I found the only way to really find people that connect and share your values is to be really open and transparent about your values and who you are. When you put who you are out into the marketplace and out into the world and you feel safe doing that, you attract people that are naturally attracted to you and you also scare off the people that are not attracted to you. The funny thing is a lot of times as business owners—I think I used to do this—is we think we have to look a certain way or be a certain thing or be something cool or special. We put out this image that trying to create the perception of what we wished we were or something different than we really are because we’re disconnected maybe or we don’t like something about ourselves. When we do that, we end up attracting people, but we end up attracting people that are attracted to that false image of ourselves instead of who we really are. Then we wonder why we don’t like them or why we’re frustrated with this client or with this partner because they were trying to connect with that, and that’s not you. I love what you’re saying about make sure you find somebody that shares your values. You weren’t saying find somebody that has the money. Sam: No. Definitely not. It’s because we come to a realization that money will come. Money will come as long as you’re providing value, you’re wanting to help people, you have the genuine yearning to provide as much value as possible into the economy, I think money will show up no matter what. It’s just a matter of, “Does that money bring me sleep every night?” because I don’t want to have to deal with a partner giving me headaches, it’s stressing me out. I’ve come to a point where, honestly I would turn down a half-a-million dollar fund if that means I’ll have a better night’s sleep. Jason: Sure. You don’t want Bruno standing at the end of your bed with a gun to your head saying, “Where is the money?” or, “What’s going on with this deal?” And […] definitely relationships that are better than others. Those partnerships are critical. Thanks for sharing your ideas on how to find partners. What else would a property manager need to know to kind of get into this? We’ve talked about maybe finding somebody that understands things legally, maybe getting a mentor that can help them kind of collapse time and structure a deal, maybe finding the right partner. What other puzzle pieces might be missing in this situation? Sam: I’m going to start from positives. I think a lot of property managers, you guys listening to the podcast, you guys are bright. The fact that you guys chose to be an entrepreneur, to kind of create your own path, in itself is something that’s to be noted. I think you guys should give yourselves a pat on the back. I think the big piece to having success, not just property manager but also looking into buying your own properties for the sake of investment, you really have to adapt that coachability mindset. The more success you gain as a property manager or in any business, it’s very easy to say, “Well, I’m successful at property management, therefore, I’m going to be successful at investing in properties.” There’s definitely a fallacy in that. Become a student again. I’m glad Jason’s putting on a lot of the content and I give props to people, even with the success that they have, they still listen to different mentors or different influence in the network. What I have to say is, I think property managers already have the motive, the discipline, possibly the skill set to become successful as a real estate investor. It’s just you got to be coachable, to be open to the idea that you may have a blind spot in this new world of being an investor. Jason: I think that’s sound advice. I think it’s true. I had Mike Michalowicz on my show previously and shared this great story about how he had all the success. It almost came somewhat easily and he was living high. He thought any business he could touch as a venture capitalist would turn to gold and then suddenly he lost everything. His daughter brought out the piggy bank to him saying, “Hey, […] dad,” and he was upside down. That’s how he started to realize, “Hey, I don’t know everything.” and he came up with the Profit First method. I think it’s important to recognize that we need to keep some humility when we’re having growth and we’re having success, and remember, it came to us because of maybe a good idea from somebody else, or it came to use because of a mentor, because of a coach, and the best leaders, they’re always the best followers. They have the ability to follow others, which is why they can be a good leader. They understand that side of things and the best teachers, they’re the best students because they’re always in the space of being willing to learn, being willing to absorb. They have real value to continually give to others. That’s the only reason I know how to help anybody do anything is because I’m naturally curious and I love to learn. I get excited about sharing the things that I realize or find that work. Jason: By today’s standards, he was filthy rich like he was rolling in it. Sam: Unfortunately, he swayed away away from his values, his character. But again, even the wisest king of our history is malleable to this fallacy that they’re invincible because of one area in success. I think it’s really important to have that have that coachability mindset, even if he had to invest in some to work with a mentor or a program, I would do so. I treat money as a currency, I treat time as a currency. If you want to have more time, then you’re going to have to willing to kind of give up some of that money to curve time because time is something we can never get back. Jason: Yeah, absolutely. If people are looking to get into this or do this, any missing pieces here that we’ve talked about real estate investing as a property manager? Sam: I think it’s an easy transition for you guys out there already managing properties. You guys, first of all, understand the operation. For me, 80% of growth in real estate investing or, as you say, sustainability in a good, healthy investment is property management. In any industry, asset management is very, very important. I think if you figured out property management, it is a great transition. If you’re looking to expand your business horizontally, I think growth and investing should be the way to go, whether you’re flipping properties, flipping apartment buildings, or your buying properties to hold for the cash flow aspects of it. I think it’s a smart transition where you can go from being a property manager to start owning properties. Jason: Property managers have a high level of trust for the clients that they serve. Their clients trust in them. They’re handling their biggest investment ever, perhaps, and there’s this huge amount of safety in working with a property manager that can help manage this investment properly is an invested partner in this relationship, so you know that they care about making sure that this is taken cared of. There’s nobody that knows better how to do that than a property manager. Lots of people out there hustling and grinding in the real estate space. Some of them not so ethical and they’re trying to get everybody involved in real estate investing and say it’s quick, easy, turnkey money, and having rental properties is the easiest thing ever. It’s passive in a passive investment and property managers know how passive rental properties really are, right? Sam: Yeah, that pipe dream is so oversold, it’s so unfortunate. I’m in the education field and it’s unfortunate that a lot of the other education programs, they overpromise this idea. It’s exploiting the whole dream of wanting to be free from their jobs or their misery or whatever it maybe. It’s unfortunate that’s what it has turned into. Jason: You know how well it’s been maintained, you have all the records, you’re the one inspecting this property on a regular basis, you know that this property can cash flow, and you know that this property can make money, too. You get dibs on those opportunities. I love it. Sam: Absolutely. First of all, that’s the big, big selling point, I think, if you want to get into the investing world. Jason: The mistake some property managers are making is they see this opportunity, they see this person selling this property, and they go, “Oh, well. I’m losing a door.” and they think, “Well, maybe I can help them sell it.” But they’re not thinking, “Maybe, I can get some funding.” Put together a deal, and encapsulate this beautiful package that it can be sold to somebody, find the right investor, and it could be another potential client, another real estate investor that they are already working with, and say, “Hey, I’ve got an opportunity. Here’s this great opportunity, great property, the client wants to sell it.” They can work that deal. Sam: Absolutely and maybe you have another owner that wants to keep buying more properties. With that being said, you can have that person turn into your partner. I got to say it again, it’s no brainer for a property manager to insert that business in there for your own wealth, building your own wealth in buying a property, and also building cash flow. For me, it’s a transition worth considering. Sam: Absolutely. You nailed it. Jason: Alright. Sam, this is super helpful. I think everybody listening is hopefully getting a little bit excited about putting these deals and ideas together. If they’re curious about getting more information from you and they want to work with a savvy, sharp millennial like yourself who’s crushing it in real estate, how do they get connected to you? Sam: They can find us on our website, thekwakbrothers.com. There’s a plethora of information. We do also have a podcast which Jason was one of our guest, an amazing guest, I might add. You can come find us, the Kwak brothers on YouTube. Reach us out. I’m also on Facebook. You guys can find me. Don’t hesitate to message me, I won’t bite, I promise. Feel free to reach out. I’ll be more than happy to chat. Jason: Awesome. You are in our DoorGrow Club Facebook group, correct? Sam: I am, yeah. A phenomenal Facebook group. Jason: Cool. Sam, I appreciate you coming on the show. Thanks for hanging out and sharing your insights with us. Sam: Awesome, appreciated that. Thank you. Jason: Alright, cool. You guys heard it from Sam. Really great idea getting into real estate investing. I’m sure all of you have thought about it, you’ve seen these deals flow by. Hopefully, this inspires you to take a little bit of action and capture a little bit more of the rain that’s coming down and find those really good partners. If you are not yet a member of our free Facebook group, the DoorGrow Club, get inside this group. We’re really careful. We probably turn away two-thirds of the people that come in so we make people apply to get in it. Even though it’s free, we make people apply to get in it. You can apply by going to doorgrowclub.com and request joining the group, answer all the questions, and my team will screen it. We only let in the business owners. If you do not own a property management business, if you’re not the principal, a broker, an owner, somebody at the top of the company, then we generally will not let you in. We don’t let anybody else in. We want the entrepreneurs. This is a group for entrepreneurs. So get inside that group. Also, make sure you have your tickets DoorGrowLive. DoorGrowLive is coming up fast. We have already sold a good portion of our tickets. Most of the room nights for a group rate are already booked out. I think we have a handful left, so get your rooms. We are super excited. This is going to be the event of the year. Every year for property management, we want this to be the event for entrepreneurs. It’s the only property management conference that is focused on entrepreneurism. We’re bringing in some of the best entrepreneur grow and scale experts that we know from any industry. We’re bringing in Mike Michalowicz who not only created the Profit First System and who’s been on our show, but also he has his own company of growing and scaling other people’s businesses. We have Alex Charfen coming in who is badass, who I’ve seen frontline grow and scale companies dramatically. He’s tripled our revenue and had a significant impact on my life, on my marriage, on my relationships, my family, and my business especially. I’m super excited to share from the stage some ideas with him, with all of you, and how we run our companies. We also have Jon Paramore who is a badass in the contractor and roofing industry at growing and scaling businesses, in building sales teams coming to share. I’ve worked closely with him, we’re really good buddies, and we collaborate on things. I’m super excited to have Jon with you and his ideas. We’ve got three experts coming from Australia where the property management industry is really seizing and my challenge to them was to share something new and something innovative. We’ve got some really cool speakers, Darren Hunter, Deniz Yusuf and we’ve got some other people coming to speak. I can’t remember everybody off the top of my head, but go to doorgrowlive.com/speakers and you can see who’s going to be speaking. We’re keeping the speaker list small, tight, and focused. Make sure you get your tickets to DoorGrowLive. It will be a game changer for your business. You will walk away with real tactical strategy. We’re not overwhelming you with a ton of speakers, and a ton of stuff, and a ton of distraction, and a bunch of people that really don’t know what they’re talking about when it comes to growing and scaling your business. We’re bringing in tactical, strategic leaders that have done this with their company and with other companies to the tune of multi-million dollar businesses. I will be sharing and presenting my vision for the industry and some new innovative solutions for the property management industry. I’m so excited. It’s difficult to keep it all a secret, but I’m excited to share these things with you. Make sure you go to doorgrowlive.com and get your tickets. We will see you inside the DoorGow Club. Bye, everybody.